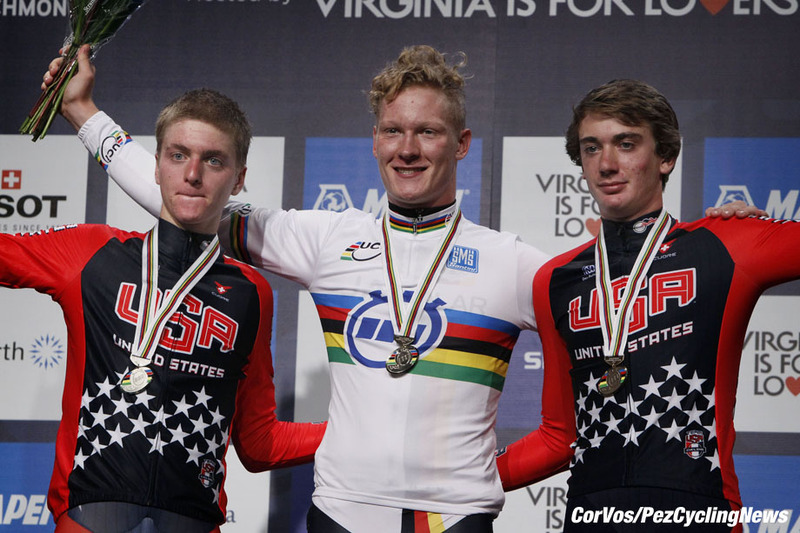 Rider Interview: Two Worlds silver medals isn't bad, there are many riders who never get any! Adrien Costa was second in the last two junior World time trial championships and so Ed Hood caught up with the Axeon team rider to talk about his battles against the clock and his success as a road rider with a big future ahead of him. 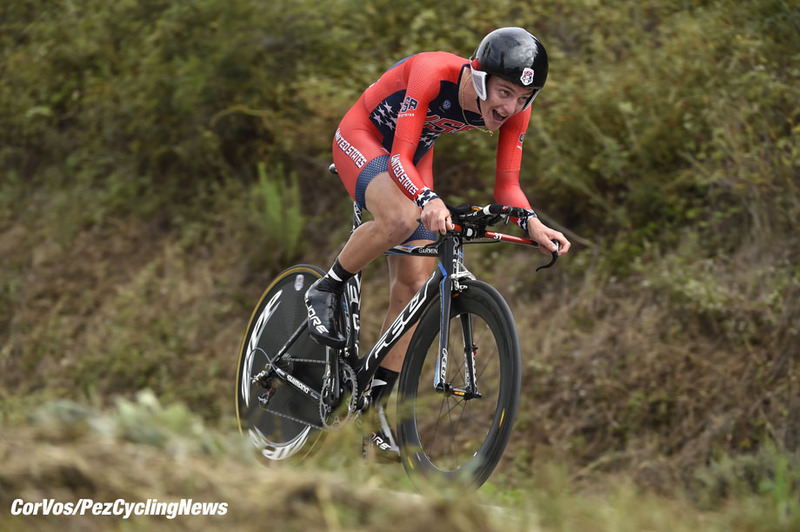 ‘BMC,’ ‘Armitstead,’ ‘Sagan’ - none of those names lifting a world title in Richmond surprised us but one name we did expect to tug on a rainbow jersey was that of US junior, Adrien Costa. After interviewing him as silver medallist last year in Ponferrada, a year older and on home roads we expected him to lift the title, but. . .
PEZ: Silver again - give us an insight into the emotions, please Adrien. 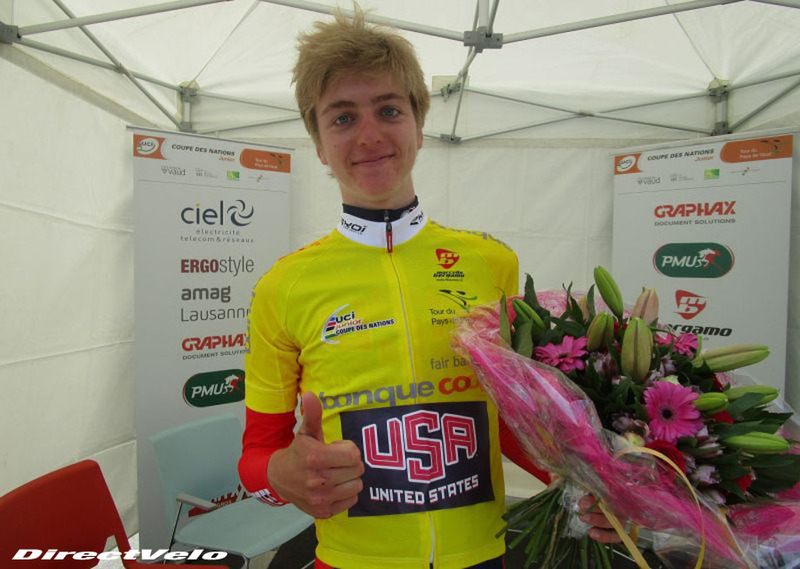 Adrien Costa: There is no doubt that I was going into Worlds this year with much higher anticipations than last year, and I will not lie, it was a little bit disappointing to not climb one step higher. However, after giving it some time, I think the fact that the same result last year was a huge success and this year a disappointment indicates my development over the last 12 months and also my consistency. PEZ: Gold medallist, Leo Appelt, have you run up against him before, was it a surprise to see him win? 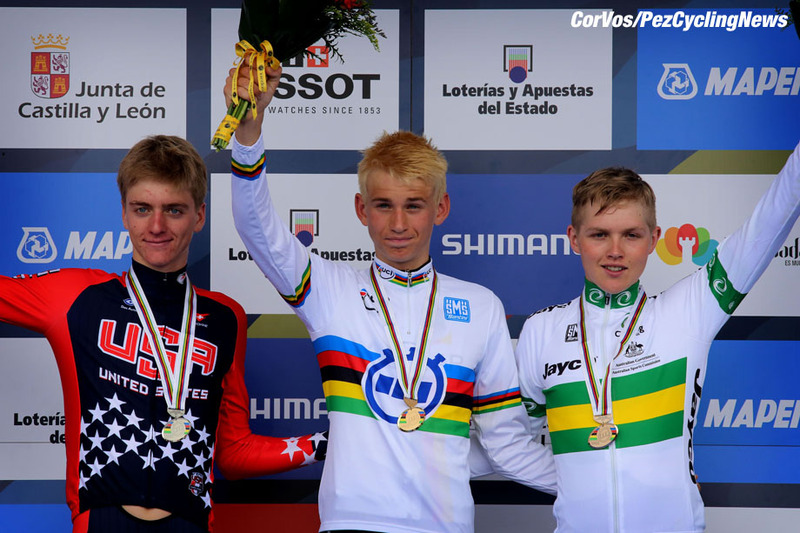 I think there were a few people that came to mind as major contenders before Leo Appelt, but it seems he has been on amazing form with solid results at GP Reubiland and winning the pursuit at Track Worlds so there is no shame in losing to him, especially considering the performance he produced. PEZ: Did the course suit you? The length of it definitely suited me, a 38 minute effort versus the TT's in Europe we do all year which last 15 minutes at the longest. However, beyond that, the constant changes of pace made it hard to settle into a rhythm, so it definitely wasn't as well suited to my characteristics as Ponferrada last year. PEZ: Spectators seemed a tad thin on the ground? Although we didn't get the same massive crowds that began to appear for the road races later in the week, the support was still incredible, and every time the public saw a USA rider a huge roar and chorus of chants ensued, so for that I have to be thankful! PEZ: A new machine, nice - tell us about it. Yes, I am super lucky to have ridden a Specialized Shiv all year thanks to Cal Giant; it's truly an amazing bike, handles excellently, and is simply a pure joy to ride. PEZ: Your position looks good, how did you arrive at it? 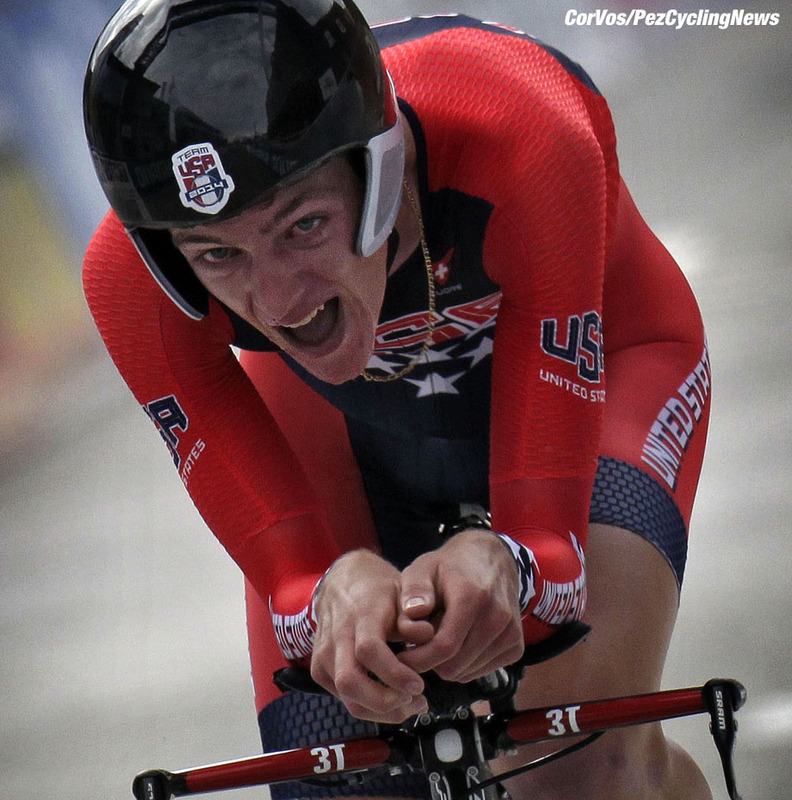 I like to think I've always had a decent TT position, but was lucky enough to hit the wind tunnel with Specialized in Morgan Hill early this year and find tune the last little bits. PEZ: How did you gauge the ride? I knew that it'd be extremely easy to start too hard, with it being Worlds and having the crowds you on from the start. So I started pretty conservatively the first bit, and really started putting the hammer down once I headed back over the bridge on lap one. After that, it was full gas to the line. It was tough on the junior gearing with the big tailwind on the bridge heading out, so I would spin up to 140 rpm and then recover a bit. Overall I think I paced it pretty well, and did not see any major drop in power nearing the end. PEZ: I see you had your knee taped. Last winter I broke a small bone (transverse process) in my back in a training crash and I think that threw me out of alignment a bit. The pain began to manifest itself in March and has been on and off since, but with some physical therapy and the help of the fantastic soigneurs that take care of us it has been pain free for a little bit now. Thankfully Rocktape generously stepped in and supplied me with foam rollers and tape to keep everything functioning correctly and pain free! That was truly an amazing, eye-opening experience into the world of Pro Tour cycling. The lessons I learned about not only cycling, training, nutrition, etc but also life and how to maintain a working balance will be inevitable as I look to progress in this sport. Plus, I got to ride my bike in Mallorca for 2 weeks, so I don't think anyone would be complaining about that!! 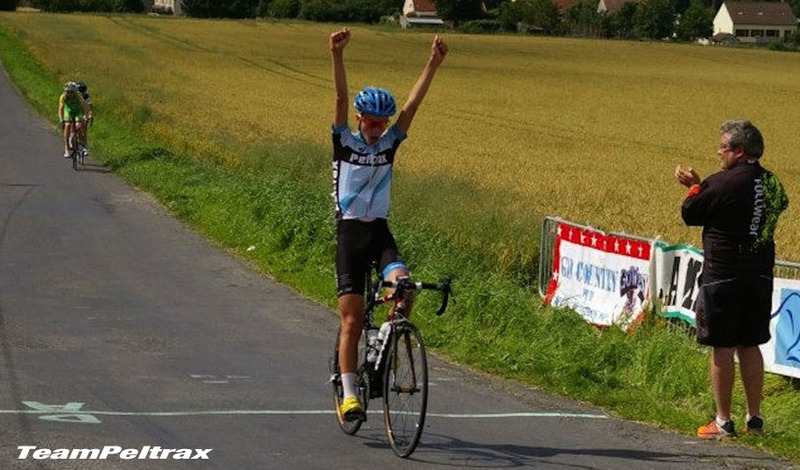 PEZ: You had two stage wins and the GC in the Tour du Pays de Vaud - nice rides. . . Pays de Vaud is an inspiring race for me because it simply takes place in an absolutely stunning part of the world, sharing roads with the Tour of Romandie, winding through vineyards by Lake Geneva, through hilly single lane roads, and big alpine climbs. Hopefully these kind of races will continue to suit me as I progress in the sport! PEZ: Second in the Peace Race, tell us about that race, please. The Peace Race is undoubtedly the biggest junior race in the world besides the World Championships so to be able to go one-two there with my teammate Brandon McNulty was absolutely massive. I didn't have the best TT there, but on the climbing stage, with two five km climbs up to a ski resort on the German border, we shredded the race to bits and finished side by side minutes ahead of the rest. From then all we had to do was rely on our outstanding team and it was (more or less) smooth sailing. 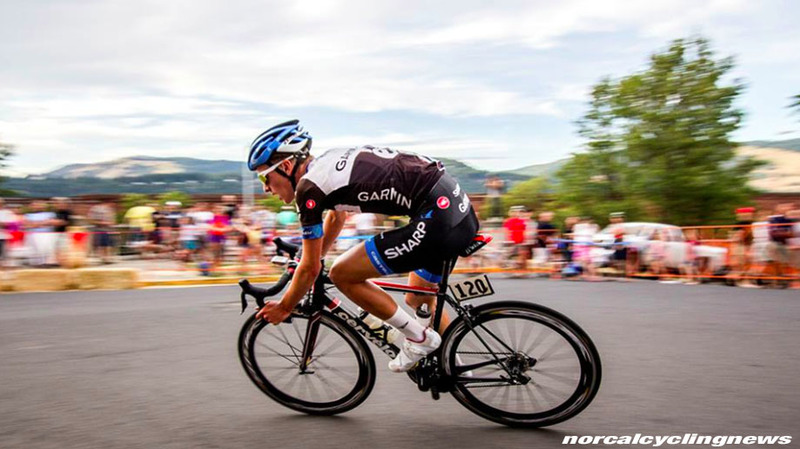 PEZ: You won Abitibi, that's probably the biggest junior race in the world. . . I don't know about that denomination per se but it's definitely prominent in the popular knowledge of many, especially in the US, as a big junior race. It's nice since it's a week long, so I just kept getting better and better as the week went on, and on the last stage, I got to do what I love most, and infiltrated a breakaway from 100km out and the rest is history. PEZ: You've just signed for a new team. . . Absolutely stoked to be with Axeon next season, I think the race program will be amazing with a great combo of racing in Europe and in the US as well. The support on the team will be top notch as well, having some of the best in the game like Axel Merckx and Reed McCalvin looking after me, so I have no doubt that it will be a great step in my development. PEZ: U23 next season, what are your feelings about that? I'm honestly really excited! The juniors have been fun but I'm looking forward to not having 200 guys looking for my wheel, and bashing heads with seasoned pros year round; it's real racing! Also, the racing style suits me better I think so hopefully I am able to do a little bit more than hang on for dear life every day. PEZ: What will the winter be about? As I type this I'm about to head out on a four day backpacking trip in the mountains above our new home in Bend, Oregon. I’m looking forward to relaxing a bit for the next month, taking some classes, and enjoying things that you can't do as often during the season. Then I'll resume training once again, guided by my coach Andrea Morelli who surely has a top notch program in the works to bring me to my best when it counts. PEZ: 2016 will be good, if. . .? If I get a ton of race days, am able to stay healthy, learn as much as possible, continue school online, help the team achieve some results, and hopefully have a shot at something myself. Most importantly, enjoying the process and the unique experiences I'll get as an 18/19 year old will be vital in continuing upwards in the sport!